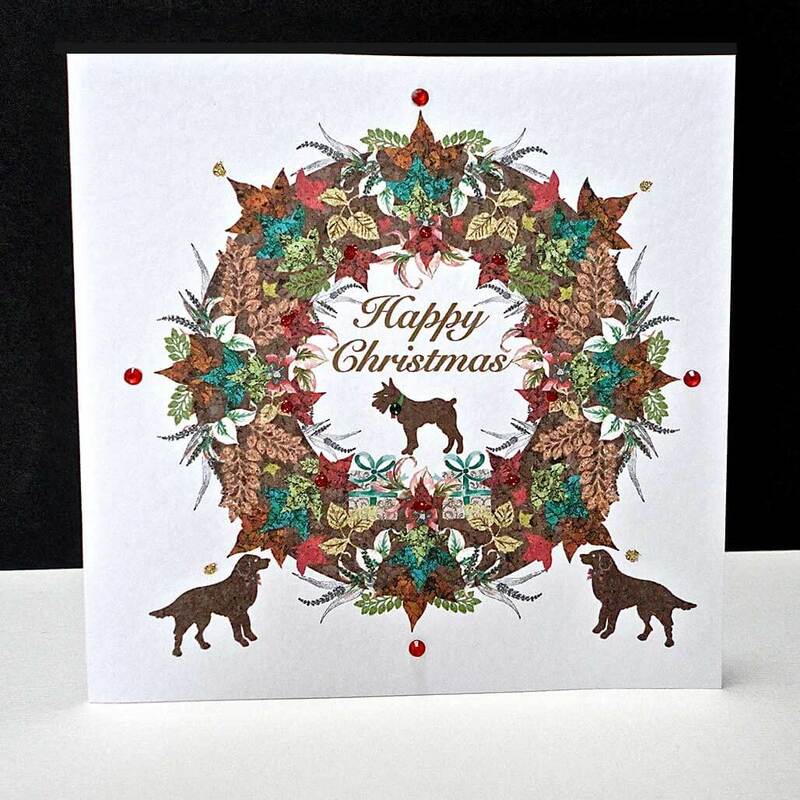 This pack of four small Christmas cards featuring the Red and Grey Squirrels definitely has that Autumnal and Festive feel. 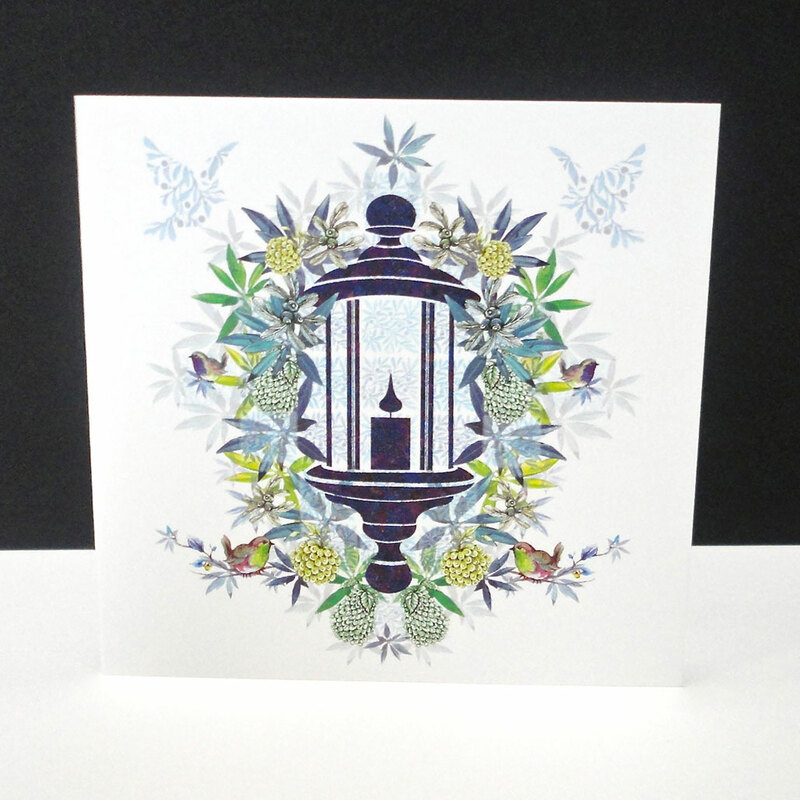 We often see the squirrels hiding their food for Winter as the nuts ripen and the leaves fall. 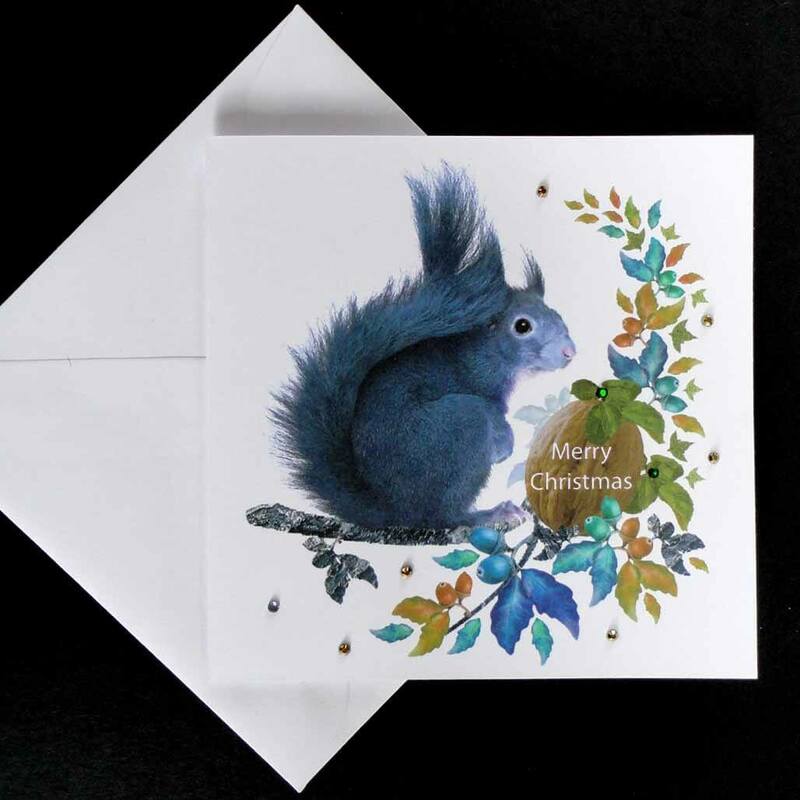 Both squirrels are perched on branches of leaves and acorns in coordinating tones of reds or blues with a large Walnut nestling in the foliage with the message Merry Christmas. 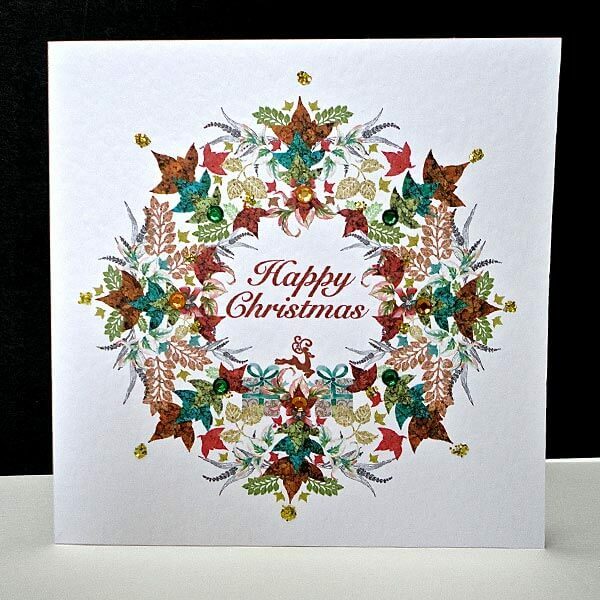 Both designs are highlighted with glass gems for Christmas Sparkle! 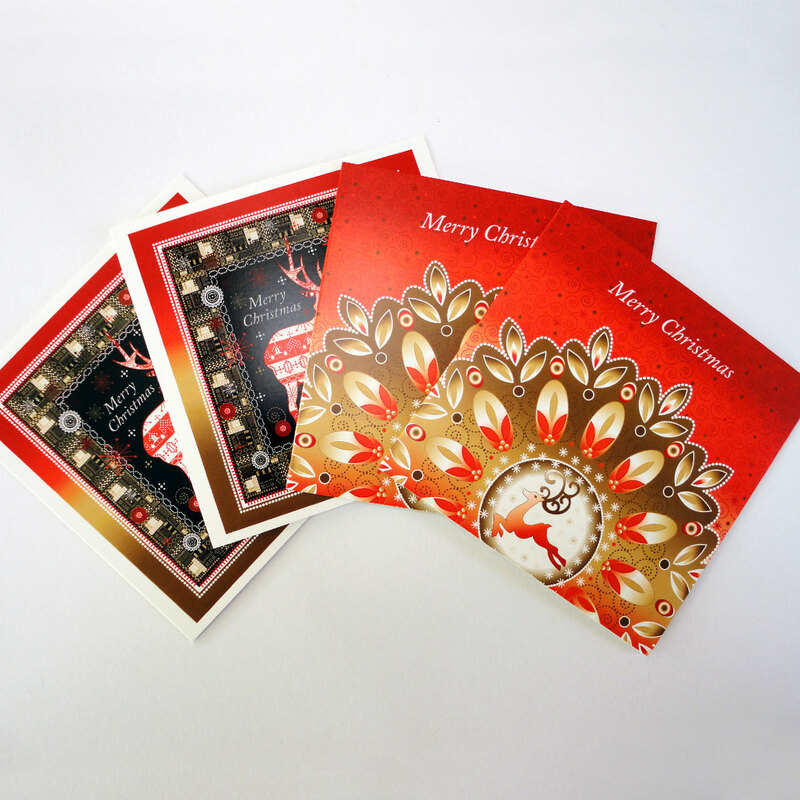 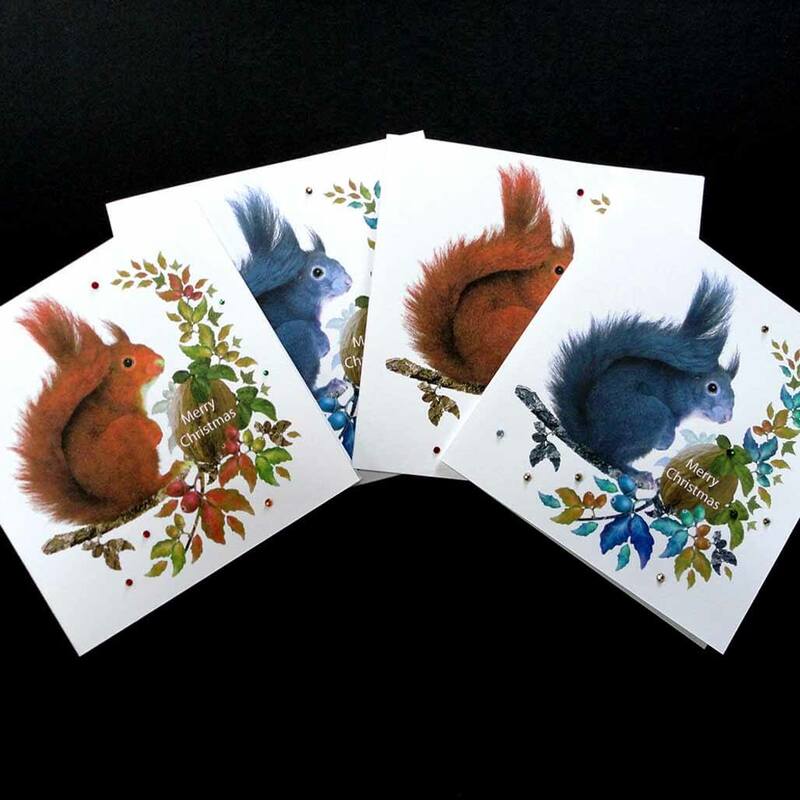 This pack contains four Christmas cards- 2 x Red Squirrel cards and 2 x Grey/Blue Squirrel Cards.